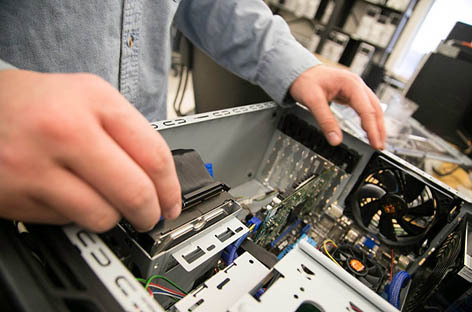 Having trouble with your PC and looking for a way to get it reliably repaired or replaced? Look no as I offer reasonable rates you won’t find anywhere else. I have a tech background and decided to turn my passion into a business. I offer my computer services as a friendly local company serving the southern half of Kansas City. Learn more about me and what I do in my free time on the about page. Personally for me I love my desktop computer. While they are big and bulky and stub your toe every once in a while. The ability to upgrade your pc when needed is the biggest selling point. There are so many customizations you can apply from lighting to performance. Laptops come in all shapes and sizes. they are convenient and you can practically take them anywhere you go. Things happens and you may need the experience of a technician. We can optimize your laptop to maximize the performance for no matter how small the size. The daily use of internet and software you put on your can make or break your pc. You are constantly bombarding it with random temporary files and over time it can run very sluggish. If your computer is running slow or you are having random issues like popups. We have the tools to fix those issues and more. Get your system running like it did when it was new. Are you in need of repairs right now? We understand when you need service immediately and can handle most situations. Call now to setup service and we will get you up and running as soon as possible. I try to make things more convenient for you by offering onsite repairs. This will save time and frustration on your part making sure you have a working computer once you arrive home and turn on the pc. I’ve seen it time and time again where someone forgot how to hook up all the cables and are left scratching their head. It can become a huge headache as you are calling a technician again just to get up and running. If you are uncomfortable with technology and would rather have someone to visit you on-site. All you have to do is call and setup an appointment that works for the both of us. Looking For A Computer Repair Close By? If you are needing a pc specialist near you. I’m available to service your computer problems when you need it the most. I can provide services for the majority of your technical needs. There is no need to drive miles away when diagnostics can be at your home. I provide on-site repair so you don’t need to disconnect your computer. I can drive to your house and provide service on the spot. Give me a call today so the frustration of your computer problems can end today! See our Locations page which covers a 30 mile area for more information.